Nearly all of the Online Store's themes enable you to create a short slideshow at the top of your home page, which can help pull customers into exploring your site. Click the Store Design menu and then click the Theme tab. 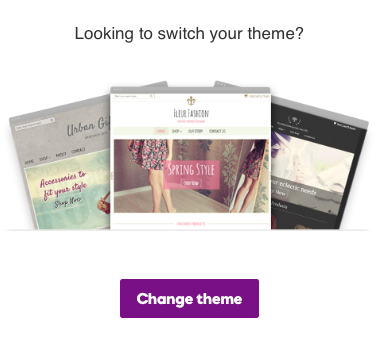 Your current theme appears on the left. To switch the theme, click Change Theme. Click View theme on a theme to get more information about it. 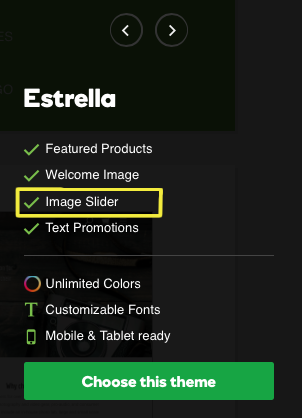 Once you're viewing a theme you can use the < and > buttons to scroll through the theme thumbnail images that offer the Image Slider feature, then click Choose this theme. 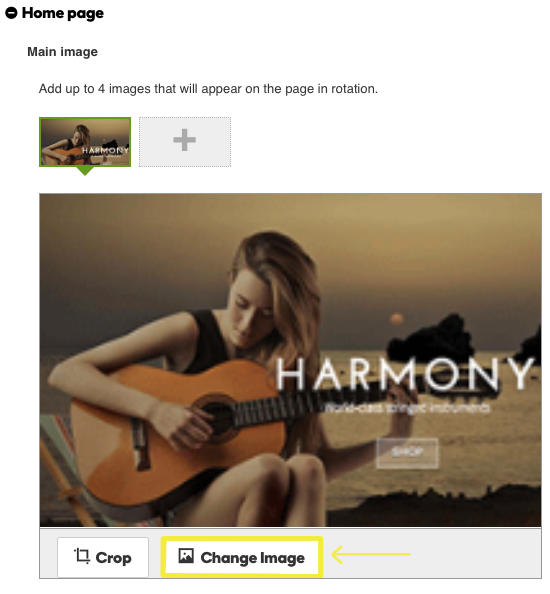 Click the + button by Home page to see the theme's default Main image, then click Change Image. Browse to the image you want, use the Resize and move to fit window to frame it and click OK. Your photo replaces the theme's original image. 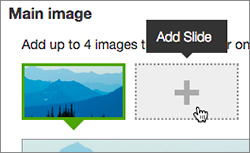 Click the + to add another slide, then drag a new image into the gray box or click the box to upload the image. Resize and crop the image as before and click OK to add it to your set of images. Note: To delete a slide, click Remove Slide in the bottom-right corner of its preview area. Once you have added all your images (up to the maximum of four), you can click and drag them to change their order. 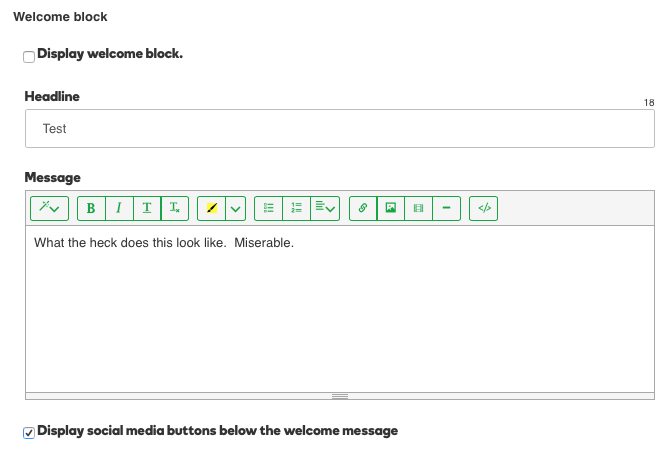 Under the Welcome block you can select to display a Headline, and a Message to appear at the top of your home page. You can choose to display images below the welcome header in Image blocks. If you enter a URL then a customer can click on the image and be directed to a different site, or you can direct them to a different page in your website. Choose to display the Secondary message block which will show a headline and text on the bottom left and right sides of your site. Note: Click View Store in the top right-hand corner of your screen to review your site.